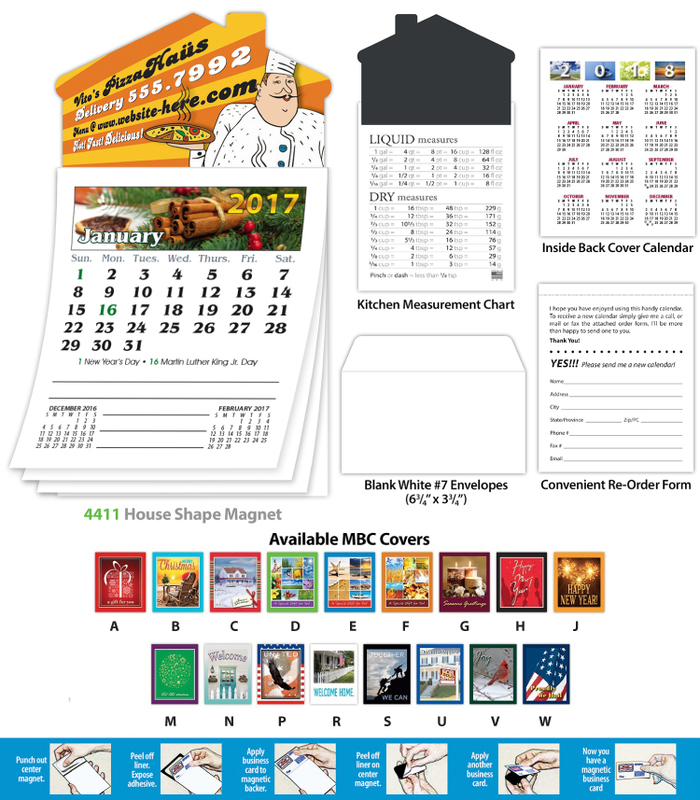 Your magnetic house-shaped magnet is attached to this 12-month calendar which gives you a lasting impression with your customer. Your name and contact information will be easily accessible for quick reference. Plain white #7 Envelopes, size of 6.75" X 3.75"
Please note that the magnet at the top can be customized; the paper calendar sheets cannot. 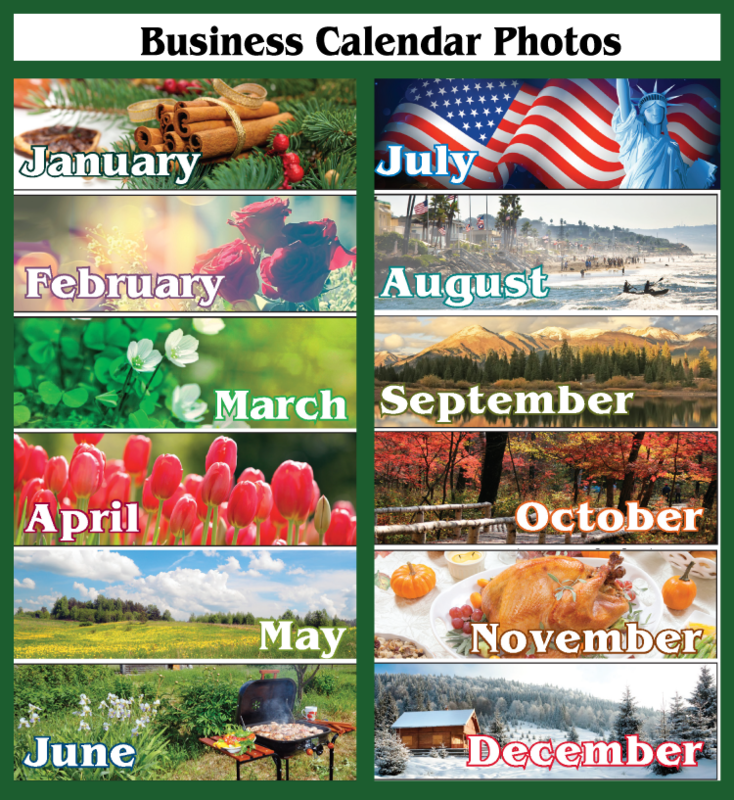 You must, however, choose a calendar theme and cover design. 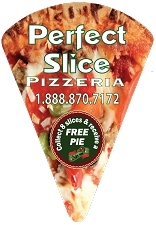 Plate & Silverware Shape Magnet - 2.875" x 2"